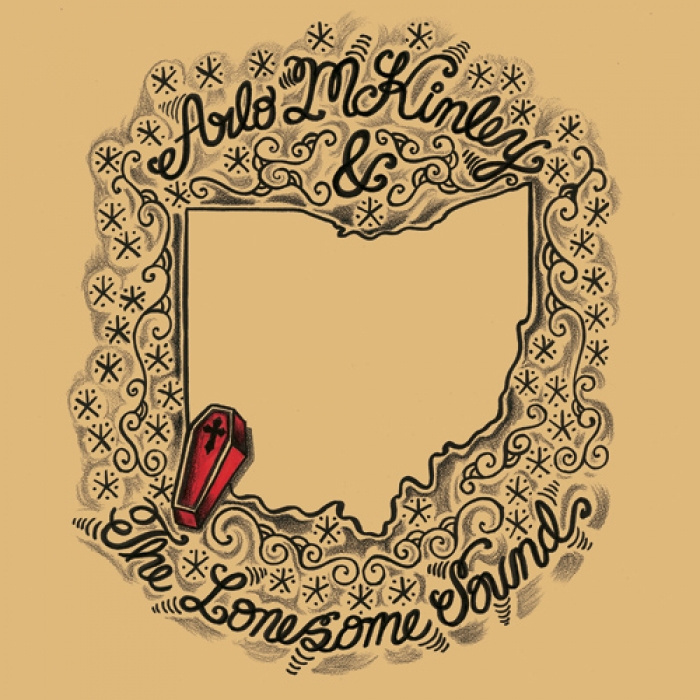 What makes the self-titled debut of Arlo McKinley & The Lonesome Sound the Nine Bullets album of thetheir Bandcamp page year for 2014? A little bit of everything. One of the missions of Nine Bullets is to bring high-quality music to more people. Outside of Cincinnati there probably wasn’t a lot of people listening to this beautifully sad record before we ran our review. NB had a relationship with Sarah from the Lonesome Sound thanks to her work with Alone At 3AM and when this record was finished she sent it to AutopsyIV. His ears were pleased and excited and he shared the record, first with the other writers here and then with our readers. We like to think that started a snowball. What strikes me most about this album is how complete it is, how well it rests within itself. This ten songs complement each other on the way to creating a mood, a mood many of us here at Nine Bullets are drawn to. Sad but beautiful, contemplative yet well spoken, down but far from out. These songs are highlighted by the sound of a well-worn fiddle and instantly hum-able choruses. It is clear these are the first ten songs that these musicians wrote nor are they the first ten recorded. It takes patience to create an album so complete, so self-aware but unconscious. If you haven’t taken the time to delve into this record there is no better day than today. Go over to their Bandcamp page and pick yourself up a copy. A lot of people were put off by this album, the production is jarring, the music is loud and in your face, and the lyrics aren’t designed to make you comfortbale, but in my opinion this was the most important album released in 2104. From the first notes of this album it is apparent that these kids are out to start an argument about the current state of affairs in the US and especially the Southern states. Whether he’s referencing the Occupy Movement or Alabama’s ridiculous HB 56 there is a thread to Lee’s lyrics and it’s that the time for conversation has passed and now it’s time for an argument. In person Lee is a soft but well spoken as well as one of the most humble people I’ve ever met. If you had never seen him and met him on the street you would never guess that he spends his nights on stage perfomring some of the most lyrically aggressive songs around. Before a show you might catch glimpse of him walking around with a gallon of water talking to the fans, genuinely happy to see every one at the show. Then the album comes to life on stage with Lee and the rest of the band putting every bit as much energy in to the show as you feel when you put on this record. Watching them live is almost a religious experience and it’s obvious that each and every one of them believes in what they are doing. This record is full of life, anger, and energy. It is, at its heart, a protest record and at the same time it’s the sort of record that you put on and can no longer sit still. The energy is contagious and I’ve watched it work its magic on even my youngest kids, who aren’t old enough to understand the frustration and anger in the lyrics or the struggles described. 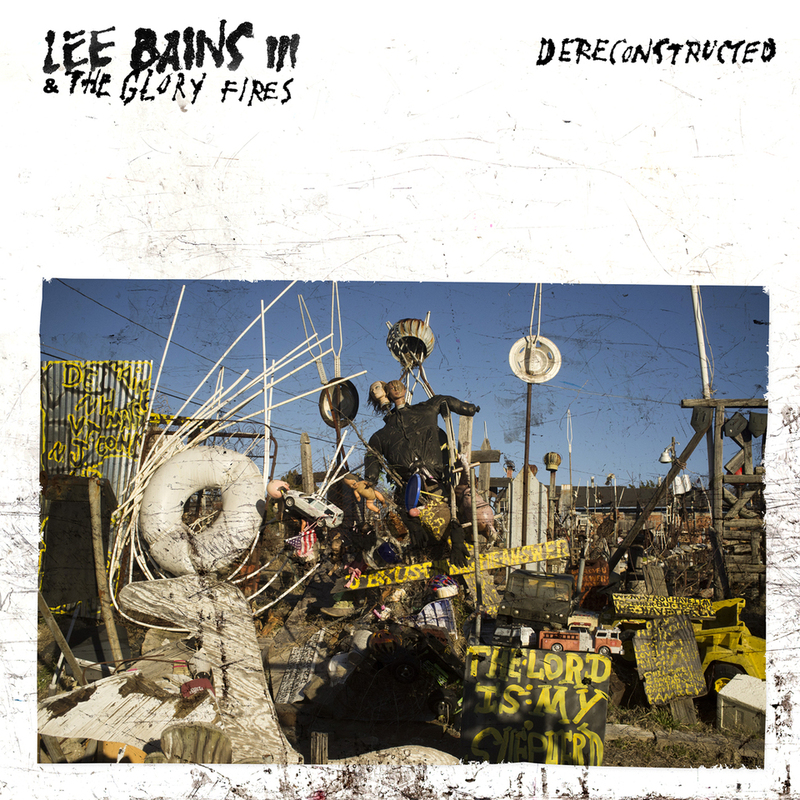 On this record Lee Bains is the incarnation of the angry young man and it’s an absolutely beautiful thing to behold! If you don’t already own a copy of Dereconstructed you can pick it up on SubPop’s MegaMart. There are still a couple of top lists coming your way and I’ll personally be catching up on some albums I missed from last year. I’d like to thank all of you for supporting 9 Bullets and I know each and every one of us on staff is looking forward to regaling you with new music and our opinions on it. Couldn’t agree more about Arlo McKinley. Thanks for letting me know about them. The album may be my favorite this past year as well. Really liked Otis Gibbs and Hurray for the Riff Raff. Tough to pick a favorite. I am one who had a hard time getting past the production style on the Lee Bains record, but appreciated the message. Keep bringing us new artists like McKinley!! Thanks for your hard work. Sweet. If we’ve got Jett on our side we’re doing something right. I was one of the few who apparently loved the mix choices on the Dereconstructed. Such a massive record. Missing his show in San Francisco this year (that M. Lockwood Porter opened up!) is one of my huge ’14 regrets. More southern bands in California please! hell yeah. Somewhere I heard that Lee said people who didn’t like the mix aren’t listening to it loud enough. The first time I listened I thought my speakers were blown. Still sounds that way to me. My favorite way to listen to it is really loud, on good headphones. I actually really like the way it sounds. I also know that not everyone does and I can understand why. I think the production was spot on for what the record is. The production on it reminds me a little of the last TCG record. When I first heard Death Of.. i was a little put off but after a couple of months I was totally down with it. Some things just take a little time. I too thought that LBIII and the Glory Fires had the best album of the year. 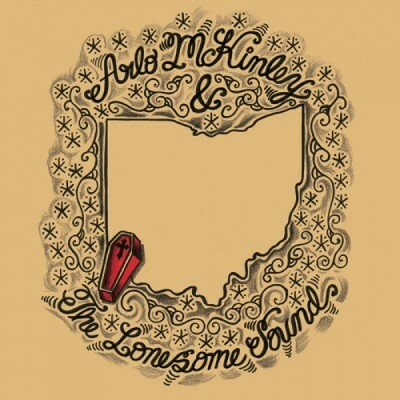 Now I need to check out Arlo McKinley! Thanks for promoting two great records. 9 Bullets is simply the best music website! I really appreciate all the work you guys put into this. You’ve certainly made my music collection better. Keep it up!